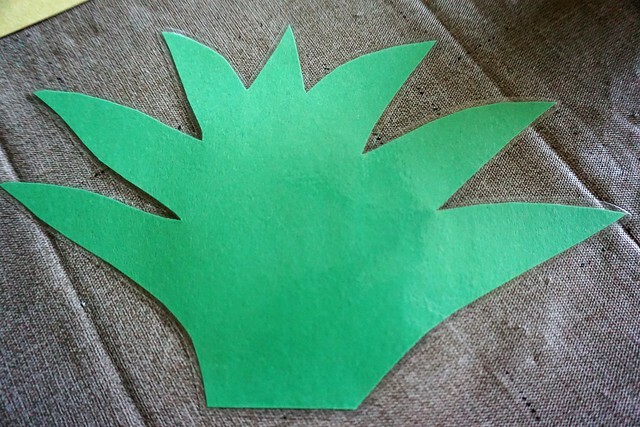 This was such a fun kid craft! I got the idea from an early Christmas display at Hobby Lobby. What’s with lollipops and Christmas? I have to say I don’t get the connection. 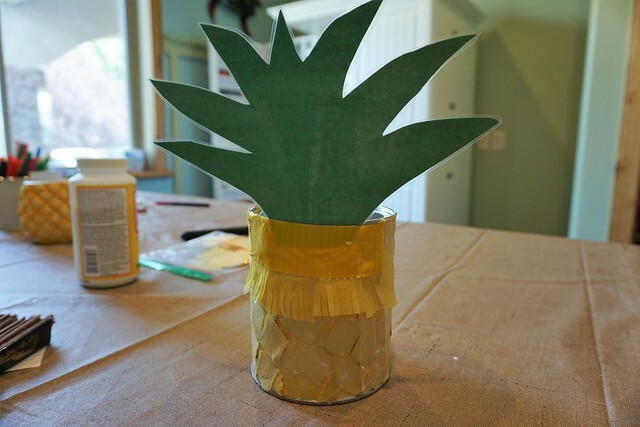 But this was a delightful summer craft for my girls. 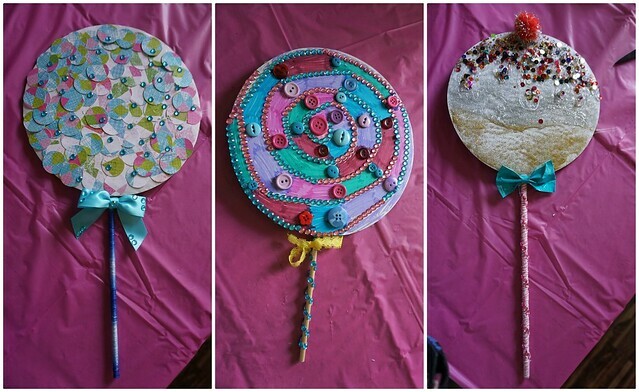 First the girls decorated the white side of their cake boards using a combination of the materials that appealed to them. 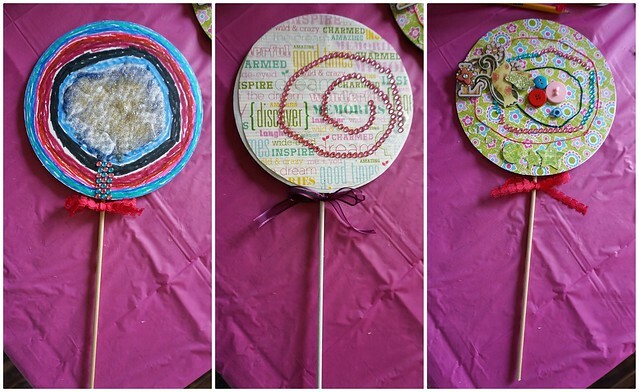 Some also decorated their dowel with string or the adhesive gems (which came in long strips) and most added a bow just below the lolly. 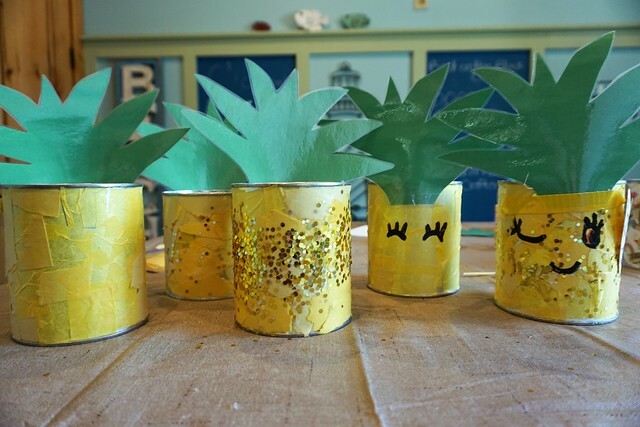 I don’t know about your kids, but my cute craft girls are currently obsessed with pineapples! Maybe it’s a summer thing as I have seen pineapple prints on beach towels, tote bags, and water bottles. My daughter’s pineapple mug served as inspiration. I also had some small Pringle cans on hand for the younger kids. I had the kids start their craft by tearing pieces of yellow construction paper. 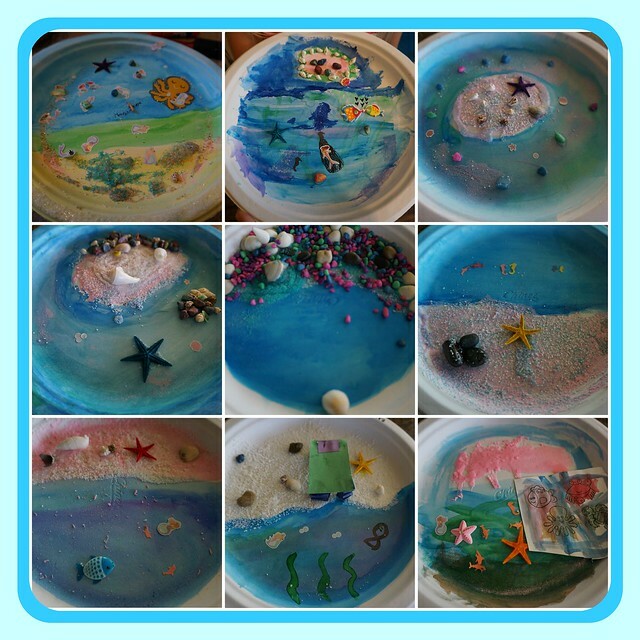 Then we poured some Mod Podge onto the paper plates and the kids started brushing the glue on the outside of the can, adding paper, and then brushing glue over the paper. Didn’t they do a great job? 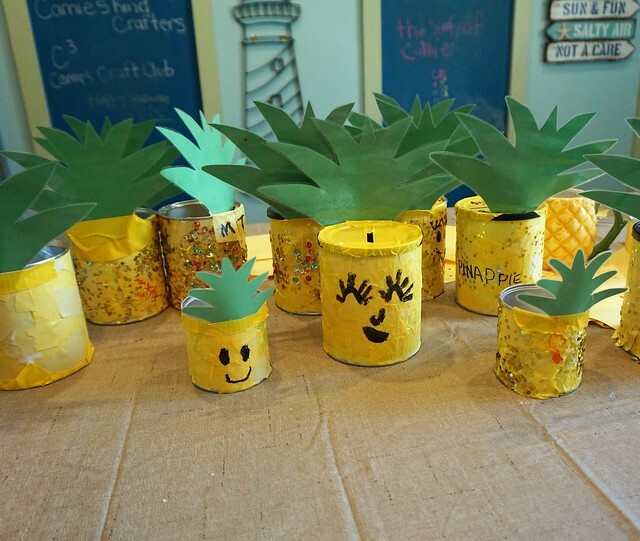 As you can see, some of the girls turned their cans into banks as I had lids for the cans. This was my favorite. Look at the detail. 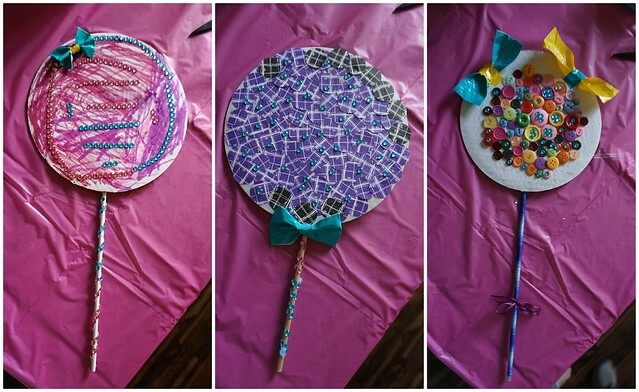 This craft was a hit with both girls and boys (we had two boys join in the fun), and I loved the way they turned out. 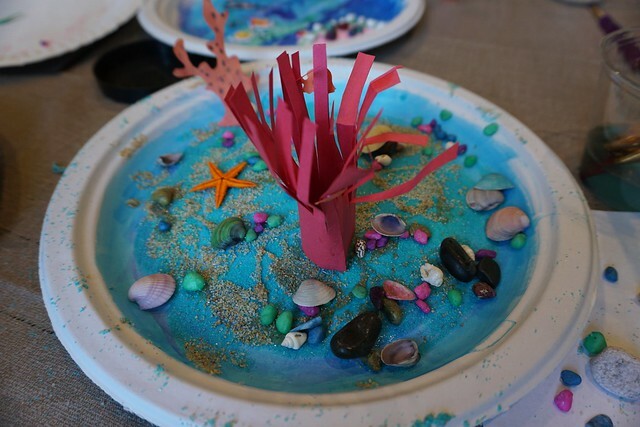 To kick off my little girl mini craft parties for July, we created ocean and beach scenes with watercolors, sand, and embellishments. Keep the mess at the table. Another option is to find a free printable ocean creature coloring page online and reduce the size to scale if necessary. 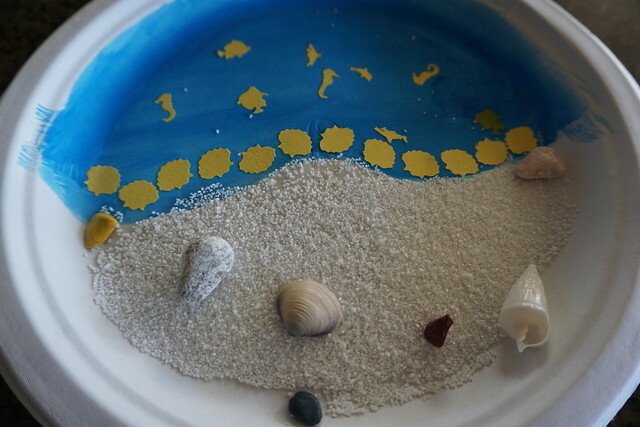 The only instructions I gave the girls was to paint the ocean first, and let it dry, before applying the sand. We found the easiest way to glue on the sand was to sponge brush the glue over the entire area and then gently shake the sand over the glue. 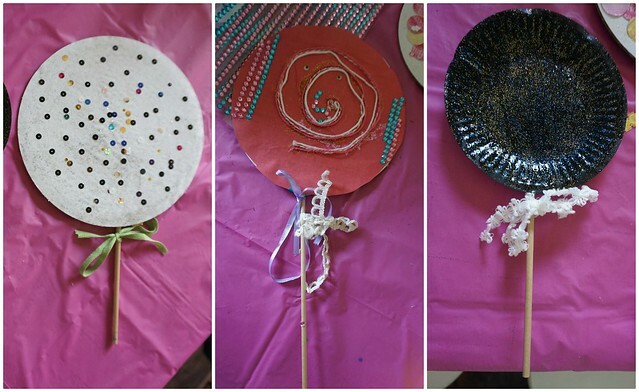 For the past couple of weeks we’ve been trying to come up with a fun name for our craft club. We haven’t came up with any winners yet though. If you have any ideas, I’d love to hear them. 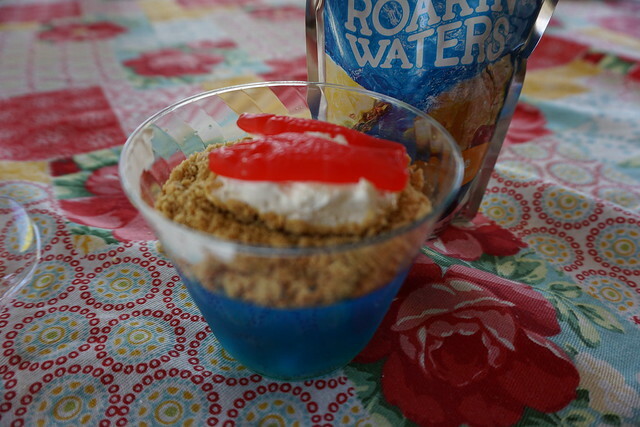 For the snack I planned ahead and had my son make up berry blue jello in clear cups. Once it set (after approx. three hours) the girls added crushed graham crackers to represent sand, whipped topping (sea foam? ), and Swedish fish. I didn’t think to do this, but Nerds can be added to the bottom before the jello to represent pebbles. I did find some neon sour octopus candy and added one at the bottom of some of the jello cups before setting. It was kind of creepy, haha, but the girls told me it was yummy. 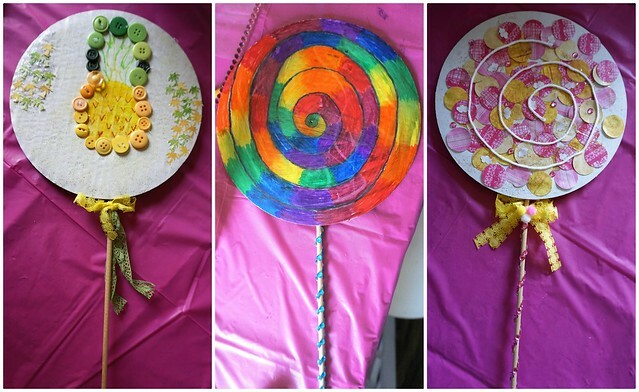 I’ve been hosting little girl mini craft parties all month long. This week the girls in my crafting club made leis. I thought they turned out pretty cute. 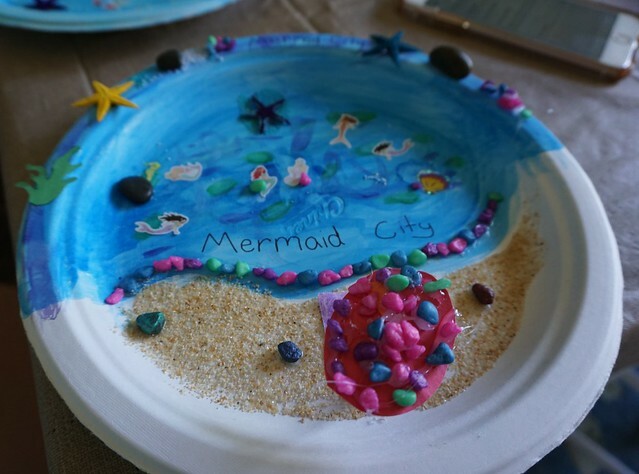 These craft parties all began with a Christmas craft party my daughters and I hosted back in December 2015 with five neighbor girls. 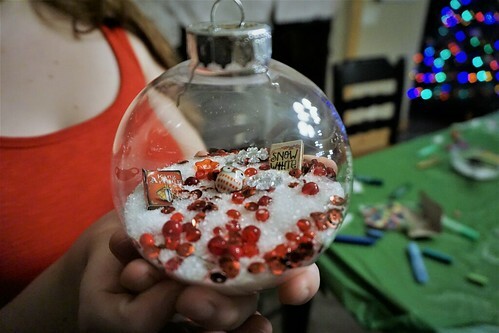 They made birthstone ornaments, snow globes, and decorated sugar cookies. 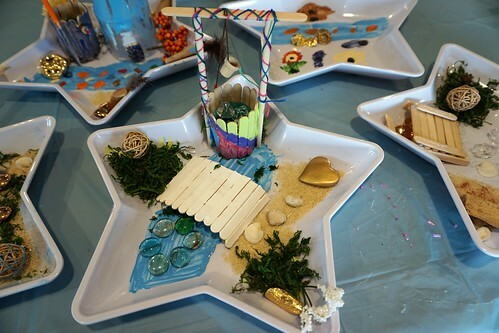 These fairy gardens were a big hit with the girls. That party led us to host more craft parties, usually around a holiday or in the summer months, and with each party we held, another girl or a couple more girls would join us. Each party would be three to four hours long and include lunch or dinner. And they were a blast for everyone involved. 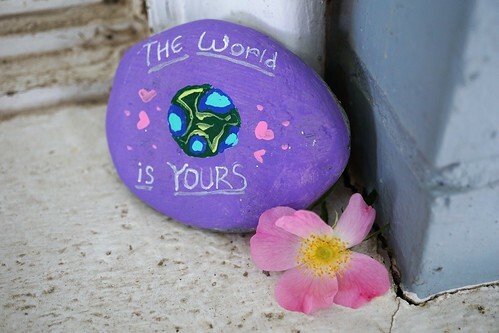 Painting kindness rocks was our first summer craft. 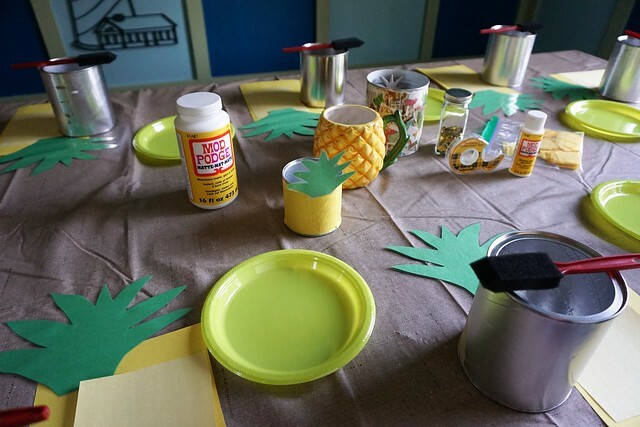 This summer I decided to host mini craft parties once a week in June. They were two hours long and held in my new craft room. 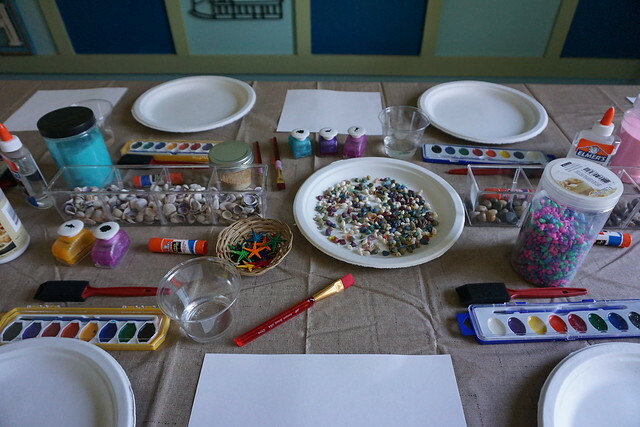 I chose one simple craft per session and included a snack, which the moms of the girls provided as a contribution. 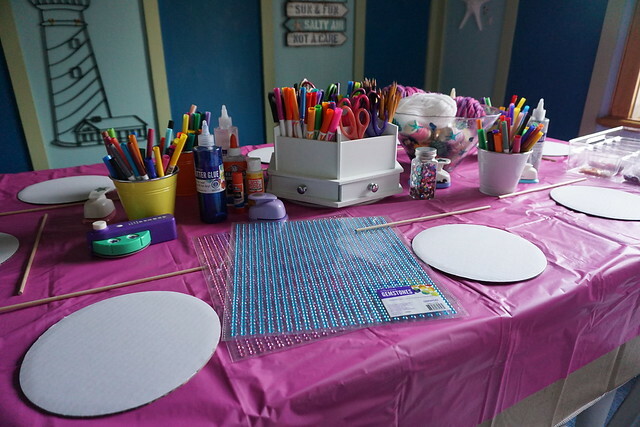 I had to hold two separate sessions, one in the morning and one in the afternoon to accommodate all of the girls as my craft room comfortably seats 10 at my table. This turned out to be a brilliant idea because I started this summer with 13 girls and I now have 19 girls in my craft club. 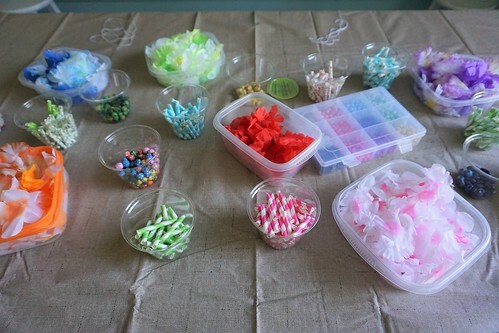 Fabric lei flowers. I bought mine off Amazon. It was an inexpensive party pack of 30 Hawaiian-style leis. Their quality isn’t great, but good enough for this craft. Paper straws in a variety of colors and patterns. You can find these in the party section of Walmart or Hobby Lobby and also at Michael’s. Pony beads in a variety of colors. I just grabbed what we already had on hand. 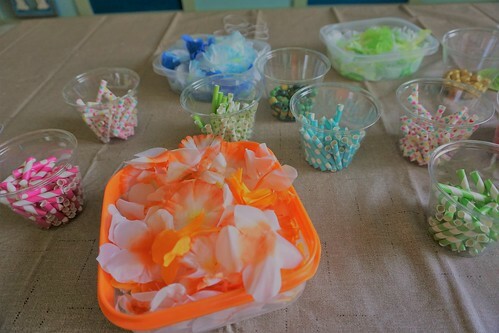 My preparation for this craft included taking apart the party leis and separating the flowers by color. I then cut the paper straws by fourths or fifths so that each straw came out to be 1.5″ to 2″ long. I cut the string to 40″ lengths. That seemed to work out just right for a medium-length lei after tying off the ends. I counted approx. 16 flowers for each flower-straw-flower lei. 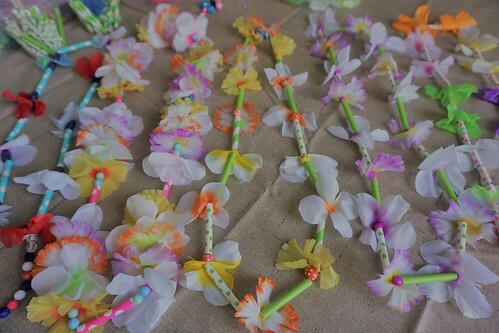 I had each girl tie a bead at the end of her string as she was beginning and most of the girls used a sewing needle to thread the flowers, beads and straws onto their strings. 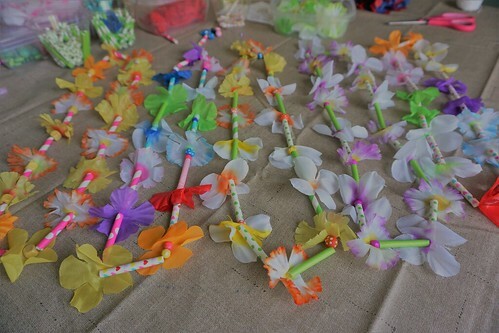 Most of the girls chose a flower-straw-flower-straw pattern, and some girls inserted beads after each flower or on each end of the straws.